Actually I’m proud of myself. My wife has been telling me I shouldn’t apply to shows until I have new pictures. I even had a show director tell me not to apply anymore until I had new work. I posted on the Facebook forum that I was applying to The Plaza with new photographs I created just this week. I received a number of emails from fellow artists asking if they could see the new images I was jurying with. Since 2004 I’ve been improving jury images, and since 2007 I’ve been doing my creative work behind the camera photographing artwork for artists. We had temperatures around 70-80 degrees last week and our tulips came up. Then we were supposed to have a freeze so we cut all the tulips and brought them in. They looked beautiful when they opened the next day which inspired me. 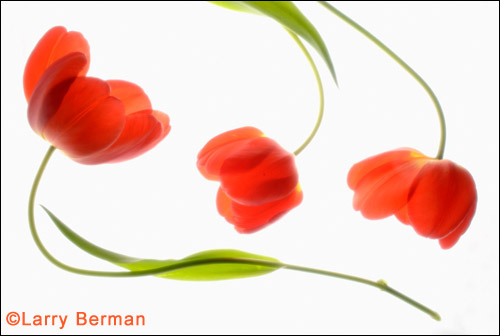 So between photographing sets of jewelry, I managed to spend a few minutes each day shooting the tulips. When someone posted about applying to The Plaza, I realized I actually had a new body of work to try out. I put my booth together by adding the new tulip pictures to the framed pictures on the walls and in the bin, and chose four tulip images that worked together for my individual jury set. Yes I need more than one. The first is 100 characters and the second is more, actually 149 characters. 149 – High key tulips photographed using traditional film techniques. 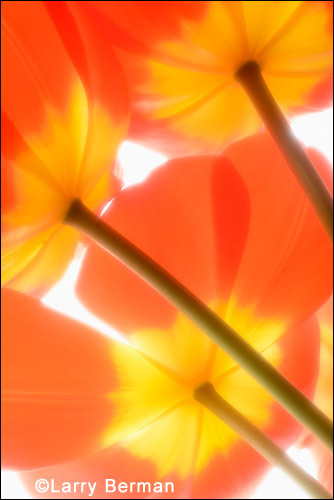 Moods created from strong backlighting, diffusion and the relationships of the stems. I can’t believe a show as sophisticated as The Plaza is still asking for a 100 character artist statement. ZAPP eliminated that as the default option, which means the show has to actually choose it from their interface. 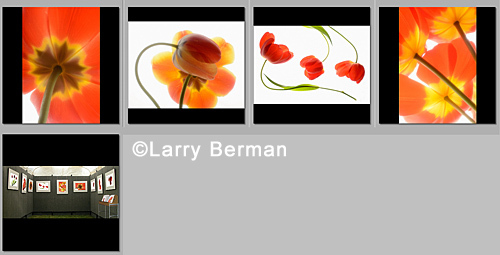 You can see a larger selection of my new images in the flower gallery.